A multitude of synths, drum machines and rare prototypes of esteemed German heritage come together in this massive and unparalleled retrospective. 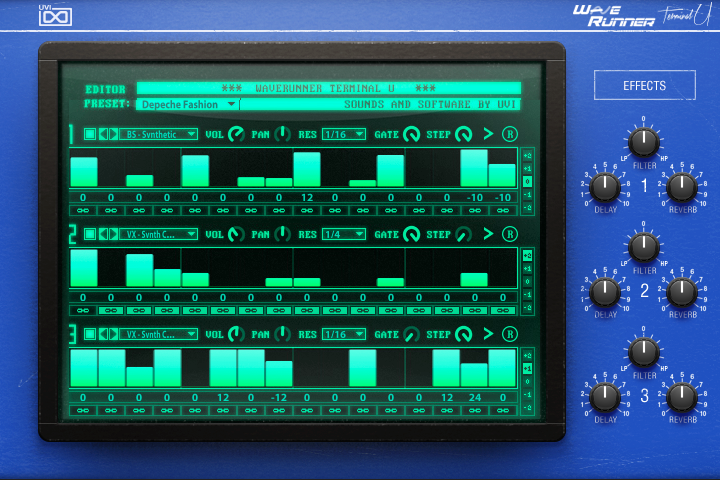 WaveRunner presents you with a wondrous collection of authentic and fascinating sounds from over 30 years of wavetable synthesis. 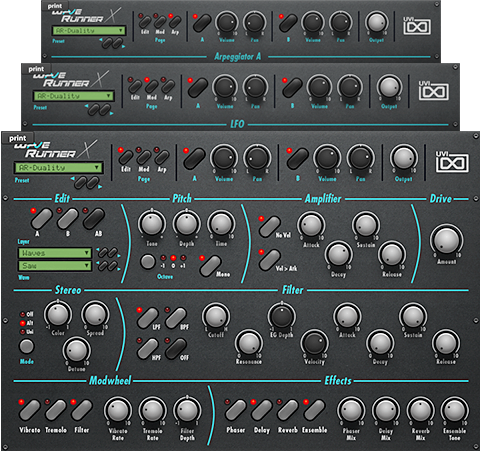 Everything from the raw and strident origins to the wild evolving tones of more modern, full-featured machines. Each system addressed was serviced, meticulously multi-sampled and artfully designed into 7 unique hybrid instruments driven by over 30,000 samples. 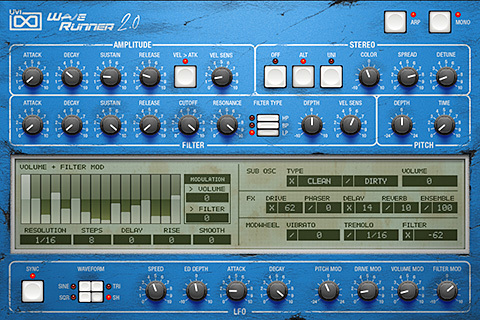 Both a historical archive of sound and a collection of new and unique instruments with over 680 presets and limitless sound design potential, WaveRunner is a suite not to be missed. 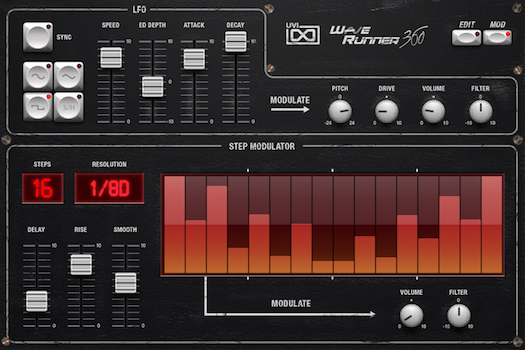 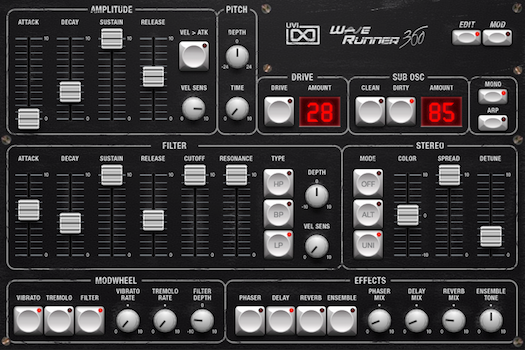 Based on a very old and quite rare machine, WaveRunner 360 delivers a raw and lo-fi sound. 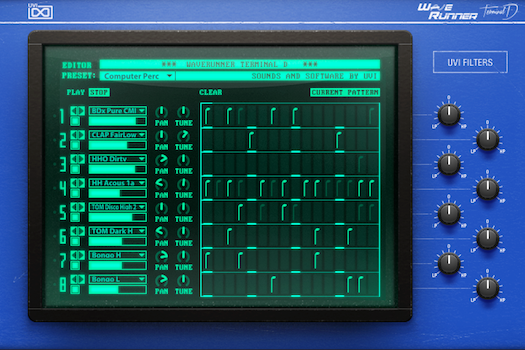 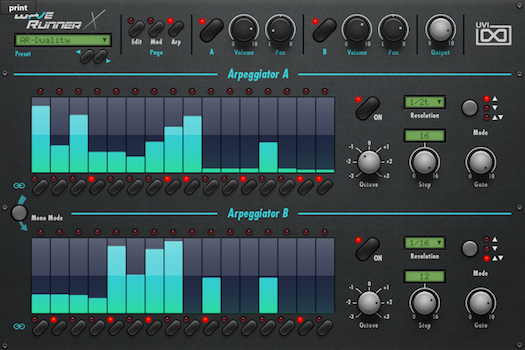 Explore the origins of wavetable synthesis and let loose with ripping vintage timbres. 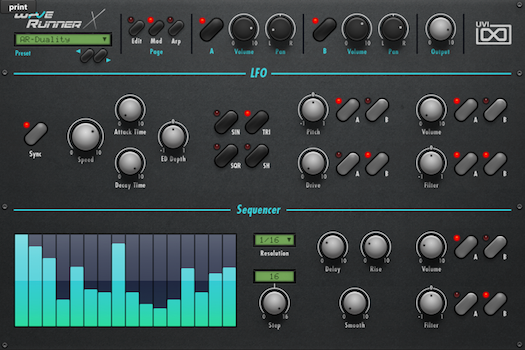 Including sounds from vintage prototype drum modules, synths and modern rack drum synths, Terminal D is an uncompromising drum machine with an impressive range of sounds and easy-to-use interface. 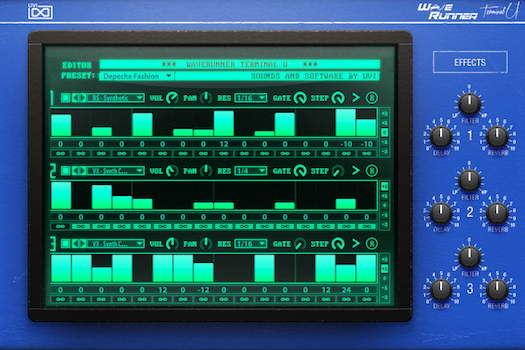 Built on a generous collection of sounds from the entire range, Terminal U is a powerful and dynamic multitrack phrase sequencer capable of generating everything from tight rhythmic chains to wild and evolving passages. 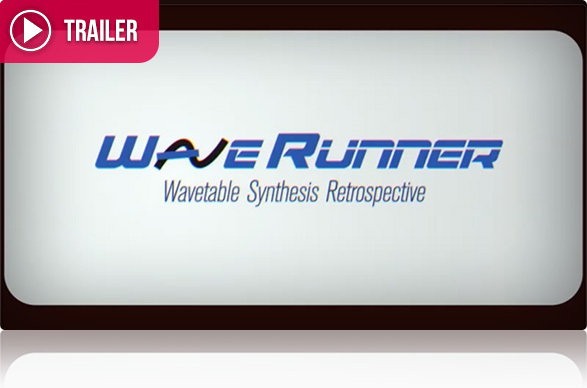 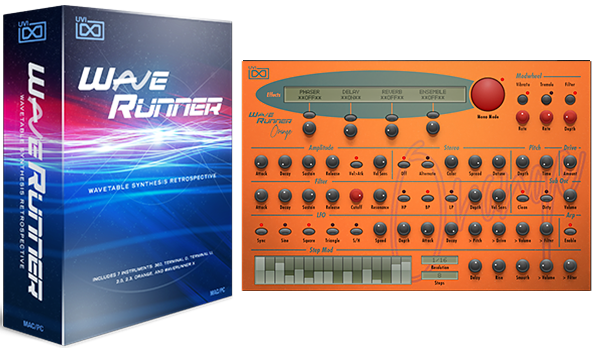 Based on the flagship wavetable synthesizers famed in the 90's and 00's, WaveRunner Orange delivers the modern sound of wavetable synthesis covering the gamut from lush bells to brutal and evolving tones. 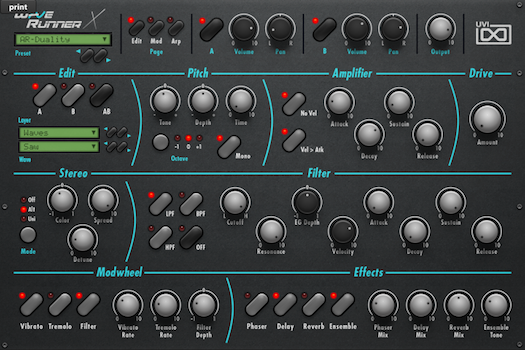 An extraordinary collection of raw waves harvested from the entire range of machines come together in this fresh and powerful dual-layer subtractive synth; capable of deep, modulating ambiances, thick basses and uncanny leads. Based on the iconic German blue, WaveRunner 2.0 delivers an uncommonly warm and vintage tone from an often overlooked classic known for its amazing analog filter. 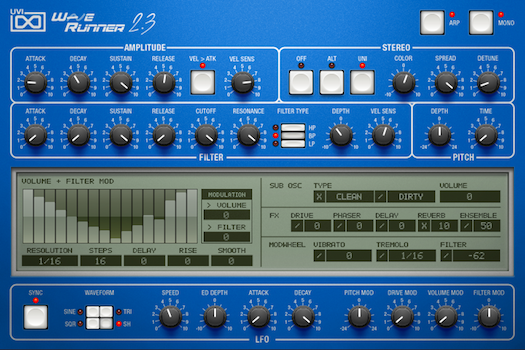 Similar to the 2.0 but with a distinctly different flavor, WaveRunner 2.3 is built on the upgraded German classic and its loquacious programming pal. A Wondrous Collection of Authentic and Fascinating Sounds from over 30 Years of Wavetable Synthesis. 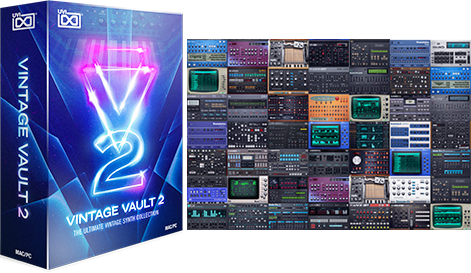 A comprehensive collection of 50 instruments, 111 drum machines and over 7,000 hand-crafted presets giving you the most important synth and drum machines sounds from the last 50 years. Experience the authentic sounds of vintage hardware instruments with all the simplicity of software. 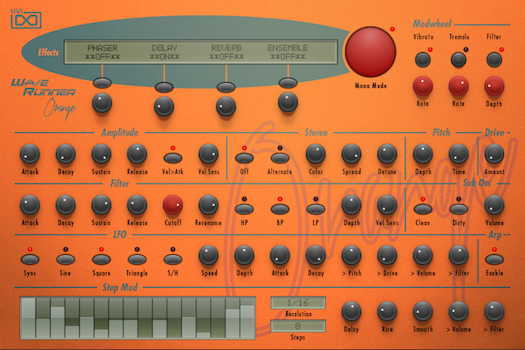 The history of synthesis at your fingertips! 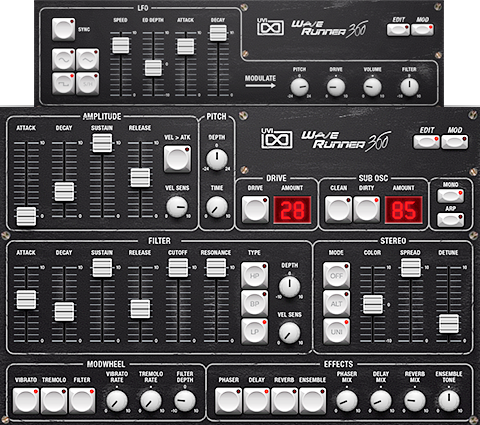 PPG, Wave 2, Wave 2.2, Wave 2.3, Waveterm, 360 WaveComputer, 390 Drum Unit, Waldorf and Microwave XT are trademarks of their respective owners. UVI is not affiliated or endorsed by any entities listed here.